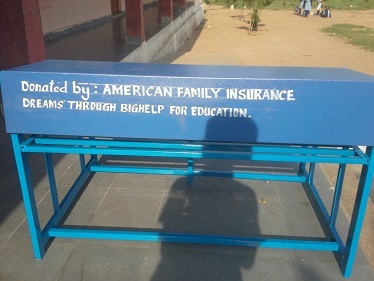 Bighelp donated 30 benches with desks for students of Zilla Parishad Secondary School Velganoor, Dandepalli Mandal, Adilabad district. Bighelp has received request from Mr. Safdhar Alikhan Head Master of the school for provision of seating arrangement in class rooms for students. 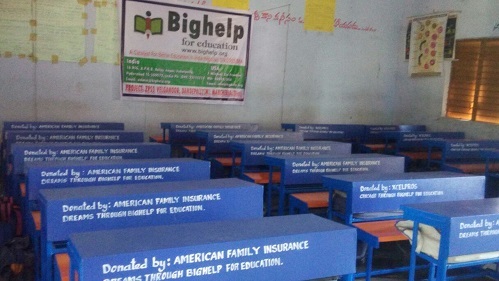 The benches provided by Bighelp helped the children to sit in class rooms and focus on their studies. Velganoor is a village in Dandepally Mandal of Adilabad District, Telangana, India. It is situated 12km away from sub-district headquarter Dandepalle and 137km away from district headquarter Adilabad. Zilla Parishad Secondary School is situated in Velganoor village and it was established in 2008. It is co-education school with present strength of 324 students and 15 teachers. 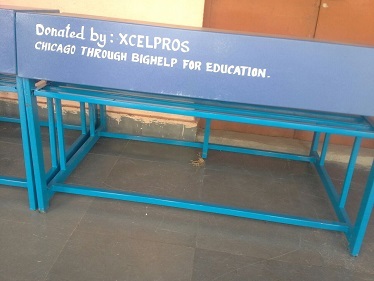 The donation program was conducted by Bighelp on 22-Oct-2016 at the premises of Zilla Parishad Secondary School with following personnel and donated the benches. 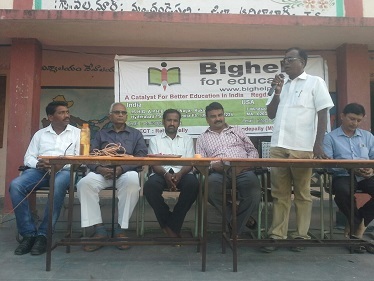 Mr. Mouli has explained the formation of Bighelp For Education, its aims and present activities of the organization and asked the students to improve their performance. Head master of the welcomed Bighelp For Education to their village and school and asked the students to best utilize the facility extended by the organization for improvement of their future.